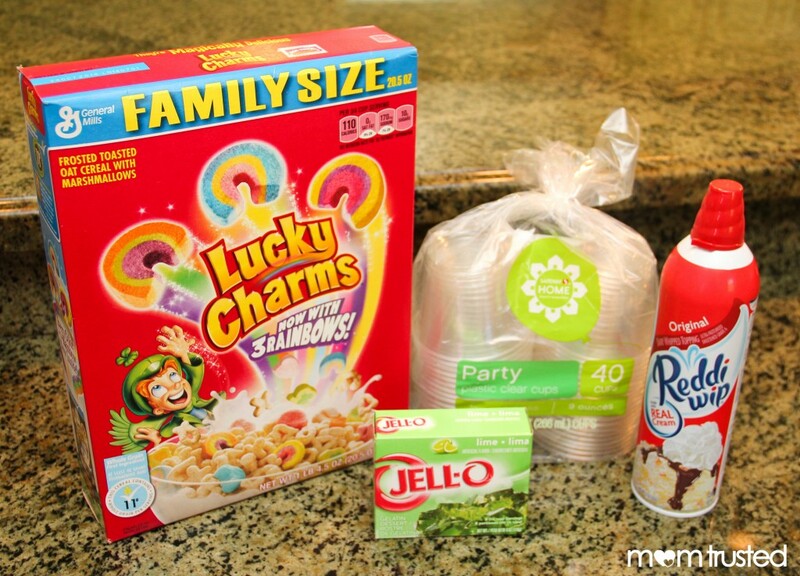 The kiddos and I were on the lookout for a fun dessert to make for St. Patricks Day. What makes a good St. Patty’s Day treat? Well it has to be green. Check! And it has to have something magical inside. Check! We were inspired by an activity we saw over at Chalk Preschool (they have so many great ideas and it’s free!). They did a jello aquarium activity using blue jello and goldfish. 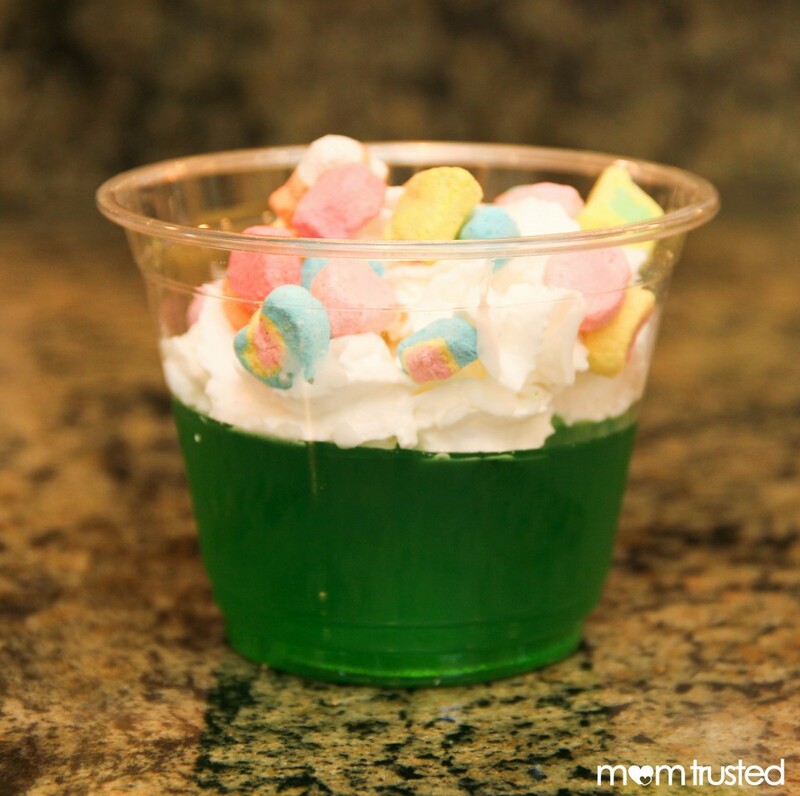 It sparked a thought for me…GREEN JELLO AND RAINBOW MARSHMALLOWS!! The whole process was pretty simple. Make the Jell-o according the instructions on the box in your clear cups. 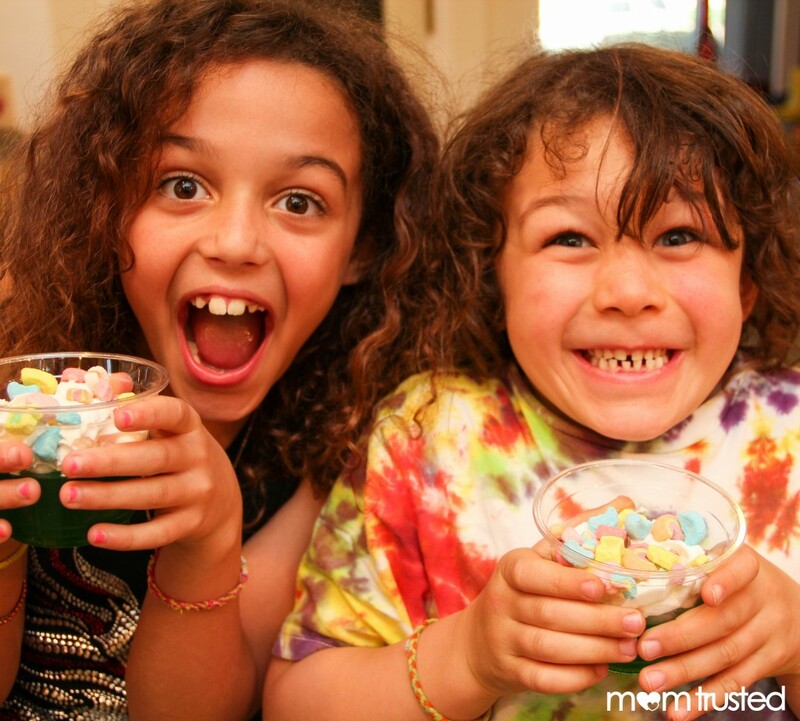 Then start your sorting activity…help the kids sort the marshmallows from the cereal. When the Jello is ready to go add the whip cream. Then sprinkle your magical marshmallows on top. Done!